Right click on an empty place on your desktop. Go down to ‘NEW’ (don’t click yet) and slide over following the arrows to ‘shortcut’. Right click on ‘shortcut’. In the box titled ‘Type the location of the item’, type WWW.NABS-TX.COM then select 'next'. When the page opens, it asks you to name the shortcut. Type 'NABS' in the box. Then click ‘finish’. 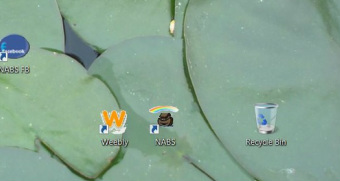 Now you have something on your desktop named NABS with a shortcut arrow on it. Find it and click on it to be sure it takes you directly to our site. If everything worked, you are finished with step one. The Logo to the right is the N.A.B.S.' Logo. Our website doesn't support icon files (ico extentions). But there's a loophole to get around that so you can have our icon! One can be emailed to you by us. If you would like to use this ark and rainbow icon, you have our permission to use it as a shortcut on your desktop to our site. Please click here to request a free copy of the icon. Be sure to state if you want the white background or the transparent background, or both so you can see which one looks best! When you get your N.A.B.S.' icon via email, save it to your desktop and you are ready to proceed to step 3 of the process below. Check out the zoomed icons to the left and right below. The one on the left has the white background and the one on the right has the transparency. 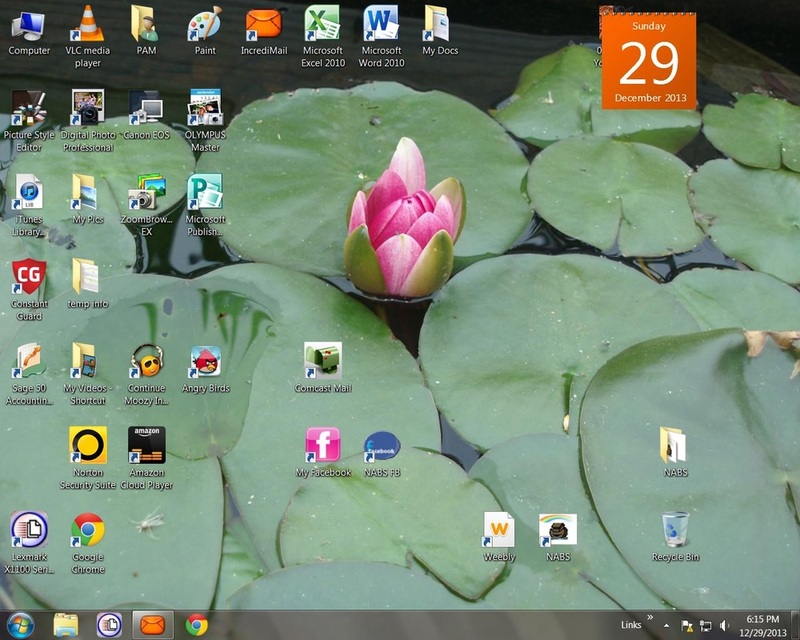 Beneath are two pictures of my personal desktop with each icon. 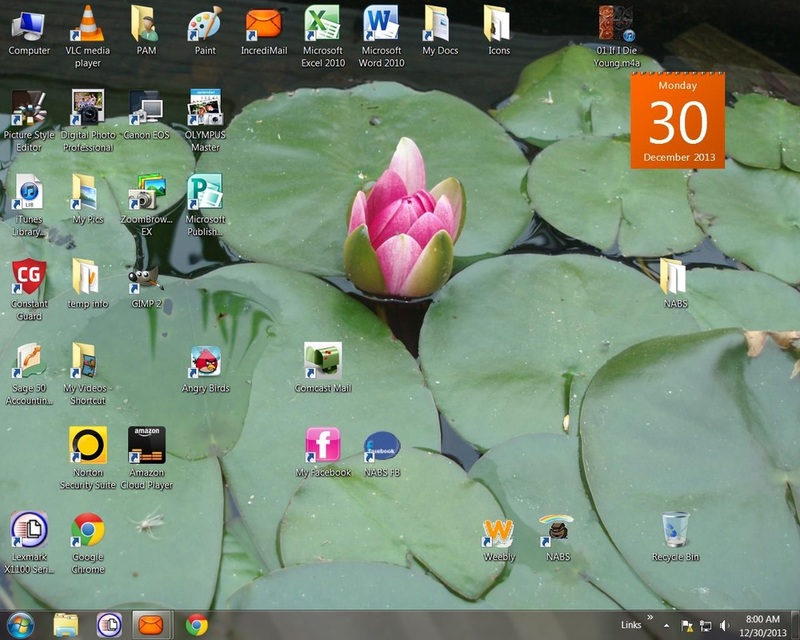 I like the transparent background icon on the right best with the lily pad background, but you can see for a comparison. 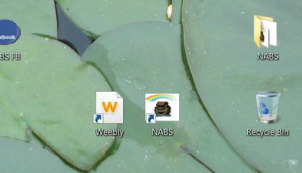 If you are observative, you may have noticed the 'W' icon next to the N.A.B.S.' icon was also changed to have a transparent background (in the picture on the right). Go to your desktop and right click on the shortcut you made, in step one above. Left click ‘properties’ and then left click ‘change icon’. At the next window it instructs you to ‘look for icons’ and it has a box there that might have examples of icons stored on your computer. Hit the ‘browse’ button if your desktop and N.A.B.S. icon isn’t showing. Find the picture of the icon you received and double click to select it. Click ‘ok’. In the next window click ‘apply’ then click ‘ok’. You’re done! If you have any problems, contact me through this form. If you want me to talk you through it, please send your phone number and I’ll do my best to call you as soon as possible; within 24 hours.